I'm in Haven: Happy, Merry, Bright Christmas! I layered, versamarked and silver embossed(twice) the snowflake frames, then adhered a different colored paper behind each frame. 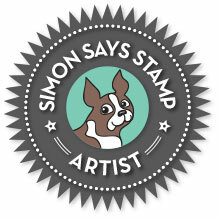 I also versamarked and silver embossed the cool new Simon sentiment, masking the three middle words and using my stamp a ma jig, stamping the three words in the same colored inks as the background papers of the frames. This is beautiful. I love the non-traditional colors. YAY! Can't wait to learn all your secrets! lol! Oh I love this...and I have this die...thinking a CASE is coming! Cool Lisa. I love those snowflake frames and happy brights. What a fun card!! 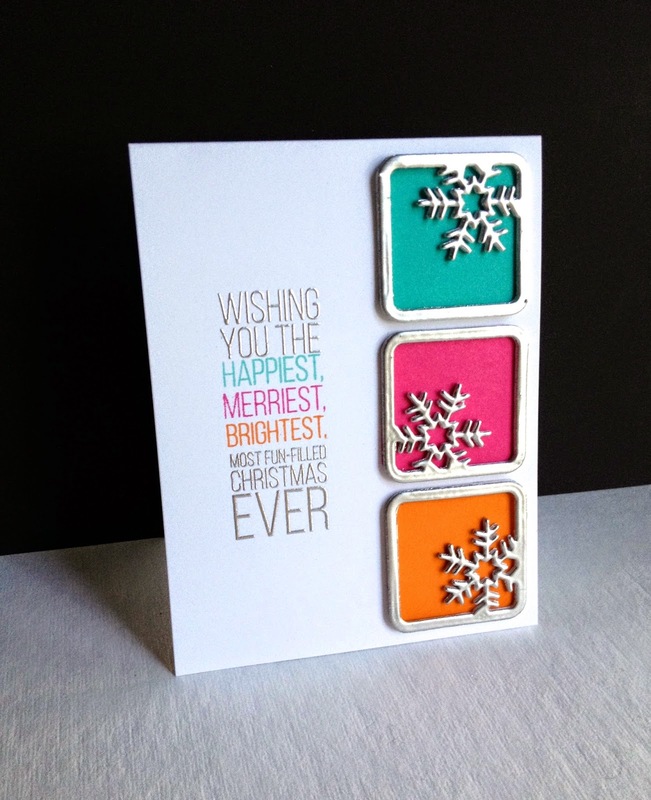 I love the silver embossing and the bright colors! I LOVE this, Lisa! The colors and design are great. Pinning to CASE later!!! I really like Xmas cards that aren't in the traditional colours, so this is perfection!! So pretty, cute and clever. Love it! Thanks.